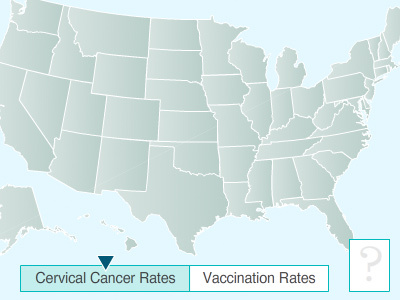 The Cervical Cancer Free Tennessee (CCFTN) Initiative is led by the Tennessee Department of Health and is composed of practitioners, educators, partners, advocates and researchers committed to eliminating cervical cancer by 2040. By working through the Tennessee Cancer Coalition, the aim is to involve local, community-based stakeholders to address cervical cancer screening and HPV vaccination for all eligible Tennesseans. Local women’s cancer workgroups affiliated with the regional cancer coalitions are developing community based interventions in the counties with the highest cervical cancer incidence rates. The objectives of these activities are to educate residents, encourage women’s health exams and increase vaccine uptake in the 11 to 13 year old population. University researchers working in the areas of provider training and social marketing are developing and testing projects to increase Pap tests and vaccine uptake in specific populations. Kelly L. Moore, MD, MPH, is the Director of the Tennessee Immunization Program at the Tennessee Department of Health and an Assistant Clinical Professor of Preventive Medicine at the Vanderbilt School of Medicine. Dr. Moore earned her undergraduate and medical degrees at Vanderbilt, and her Master of Public Health degree from the Harvard School of Public Health. After completing her internship in Pediatrics at the Johns Hopkins Hospital in Baltimore, she served as an Epidemic Intelligence Service Officer and completed her residency in Preventive Medicine with the Centers for Disease Control and Prevention (CDC). Dr. Moore directs or advises on state immunization policy, practice, and legislation and educates immunization providers, the public and the media. She represents the national Association of Immunization Managers on the CDC’s Advisory Committee on Immunization Practices, where she helps shape national immunization guidelines. The mission of the Tennessee Immunization Program is to minimize the burden of vaccine-preventable diseases by optimizing the use of vaccines by Tennesseans of all ages: one of her top priorities is to increase unacceptably low immunization rates among our adolescents, especially rates of HPV vaccination. Pamela C. Hull, Ph.D., is an Assistant Professor in the Vanderbilt University School of Medicine in the Department of Medicine, Division of Epidemiology. Prior to joining Vanderbilt faculty, she served as Associate Director of the Center for Prevention Research at Tennessee State University. She earned a Bachelor’s degree in Sociology from Duke University, and a Masters and Ph.D. in Sociology from Vanderbilt University. Dr. Hull is a medical sociologist with expertise in the development and testing of behavioral interventions to promote cancer prevention behaviors in youth. Her current research focuses on increasing HPV vaccine use, healthy eating, and physical activity among Hispanic and African American youth, using social marketing and new technology applications. Dr. Hull has over 8 years of experience as an investigator conducting community-based participatory research, including designing and testing behavioral interventions using observational and randomized controlled study designs. Dr. Edwards’ program of research centers on the health status and clinical outcomes of rural populations. She focuses on improving the health of rural women through adherence to recommended health screenings and healthy lifestyle. Health policy implications and health care system issues are integral parts of her work. Her research has been funded by NIH (NCMHD); DHHS, HRSA, Office of Rural Health Policy; DHHS, HRSA, Office of Women’s Health (subcontract); DHHS, HRSA Division of Nursing; and others. She publishes widely in journals such as Journal of Professional Nursing, Women’s Health Issues, Journal of Rural Health, and many others; and presents nationally and internationally. Dr. Edwards is a member of the Editorial Board of the Journal of Rural Health, and a Fellow in the American Academy of Nursing. Dr. Edwards teaches quantitative research methods and health policy in the PhD program and health policy in the MSN program. Jeanie Dougherty Dassow, M.D. is the Clerkship Director and Assistant Professor of Obstetrics and Gynecology at the University of Tennessee Chattanooga – College of Medicine. She also practices with the UT Erlanger Women’s Health Specialists providing clinical services in obstetrics and gynecology. Dr. Dassow earned her medical degree with highest distinction at the University of Kentucky-Lexington and completed her obstetrics and gynecology internship and residency at Washington University, St. Louis, Missouri. After several years of work in various Kentucky health care settings including medical school education and public health clinics, Dr. Dassow has returned to Tennessee as both a teacher and clinician. She is serving as one of the regional chairs for the Cervical Cancer Free Tennessee Initiative in the Chattanooga area and was previously a member of the Cervical Cancer Free Kentucky Initiative.